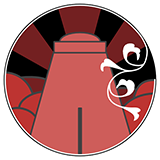 Guild of Writers • View topic - Is it OK to upload a patch for Myst V to work with Drizzle? I made a patch that makes Myst V gog version into the retail version to import to DI. Now, it's just ~1MB, and as such doesn't contain any actual files, just XDELTA patches and requires Myst V GOG version to install. I was wondering if it would be OK to upload it here, so us GOG people wouldn't have to purchase the game again? I don't think there is any problem with sharing that kind of patch. That sounds like it's pretty insubstantial and requires the purchased game to use it. Originally, when I tried importing my GOG version, the DI Launcher deleted them, since they were "wrong", so I tried the retail version, and I thought since DI "swallowed" it, that was proof enough the data was good. But after posting this, I've been trying to link to those ages with no luck, DI or Uru offline, both drop me back at the cleft. So, I can't upload the patch unless I'm sure it works. BUT! If anyone has a retail version, which they're sure is the right one, I can send over the project files. All you have to do is point the program to the "old" and "new" data directories, and click a button, and it will spew out a patch, it should be no bigger than 2MB. So, please, tell me if I'm doing something wrong, or if I just have the wrong version. That's a really good idea, actually ! I'd be interested in having a look at the patch, I think I still have both versions of the game lying around somewhere. Well, actually I dunno if I'll have time to have a look at it in the near future, but eventually I'm sure we'll find a way to make it work with DI. OK, I figured out what the problem was. I'm new to the DI shard (well, online play in general), so I had not finished Yeesha's reQuest, so I created a new character and tried dropping down the volcano, except that dowsn't work, just spawns you back at the cleft. You need to link to Cleft with the book that Yeesha gives you after you finish said reQuest. So I took the time and played through the game and then dropped down the volcano - it works, all good! So, I posted the patch in a new thread to avoid confusion. It's over here.